Request a quote for Aluminum Crank Handle today. 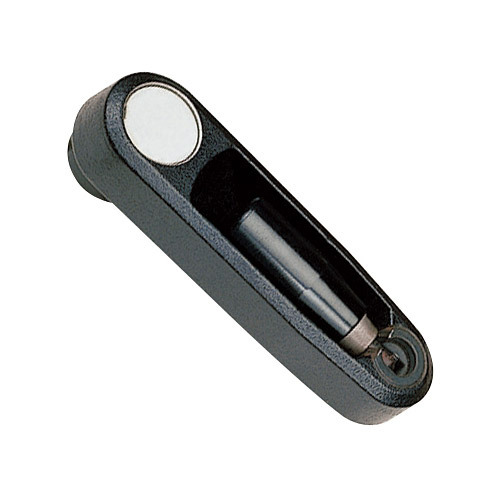 This aluminum crank handle from JBF National is manufactured from the highest quality materials and features an aluminum crank, bakelite handle, and white plastic overlay. This crank is available with either round bore or square mounting center hole, and features the space saving utility of a folding handle. Please see component diagram below.